Is this the real life? Is this Final Fantasy? First released in 1997, Final Fantasy 7 immediately cemented its place as one of the best JRPG titles around and introduced an entire genre to millions of gamers globally. Due to the success of Final Fantasy 7 over 20 years ago (and the pleads from die hard fans), Square Enix is releasing a remake. Not only because that seems to be the done thing these days but also because it’s something fans genuinely seemed to want – when the Final Fantasy 7 remake was announced as being in the works at E3 2015, the news was raced straight to our nostalgia organ like a chocobo released from the stables. The path to release hasn’t been smooth for this game, though. After two years in development we’re still not entirely sure when we’ll see the Final Fantasy 7 Remake released. With news and rumors still churning around the great wide web but official information still pretty thin on the ground, we’ve gathered up everything we know has been confirmed and all the rumors right here for your perusal. Square Enix has also released a number of screenshots from the game which we've collected together below. The Final Fantasy 7 remake has had something of a troubled development, so unsurprisingly we still don’t have a solid release date. It's also very possible that the the game will end up having several release dates, as Square Enix has confirmed the game's story would be told episodically. The game has been in the works since 2014 but there have been few significant official updates since the E3 2015 reveal. Things may be further along than we think, however. In an interview with Famitsu, the game's director (Tetsuya Nomura) said that some parts of Final Fantasy 7 such as cutscenes are further along in development than the now-released Kingdom Hearts 3. This gives us hope that we may see the first portion of the Final Fantasy 7 remake at some point in 2019 still. Maybe. Perhaps. Something we do know is that the game will be available to PlayStation 4 players “first” as was promised at its E3 reveal. Saying “first” suggests this isn’t an outright exclusive and that the game will eventually come to Xbox One and PC. However, there was no indication as to how long the agreed exclusivity period would be. The recent timed exclusive Rise of the Tomb Raider ran for 11 months on the Xbox One before coming to the PS4, while Ultimate Marvel vs Capcom 3 was exclusive to PS4 for just three months. Given this variation it's hard to say how long FFVII's timed exclusivity might last. Could the release date be a long way off? The highly-anticipated Final Fantasy 7 remake may not have a confirmed release date just yet but it seems like a safe bet to say that we’re probably not going to see it within the next year. In fact, according to a recent report from The Lifestream (via Destructoid) we might not see it for another five years. Reports of turbulence in the games development emerged around a year ago and if they're true it's likely that they slowed progress somewhat. A recent behind-closed doors conversation between producer Yoshinori Kitase and development lead Naoki Hamaguchi suggests the game could be as far away as 2023. The conversation apparently took place at a recent Final Fantasy 30th Anniversary celebration event and a translated transcription has been uploaded by a Lifestream user. The conversation doesn’t give much solid information in terms of release date or progress but Kitase and Hamaguchi say that they want the Final Fantasy VII Remake to have launched before Final Fantasy’s 35th anniversary in 2023. Now, even if this conversation did take place the transcription makes it hard to read any kind of tone from this. It could very well be a joke in reference to the long development process that they also say is now running "smoothly." With no official comment from Square Enix on the matter we say take this with a pinch of salt for now. It's highly likely that we'll hear more about the game's progress and maybe a potential release window during Square Enix's E3 presentation this year. The Final Fantasy 7 remake will follow the original game’s narrative and feature the iconic characters and locations that fans love. Nomura has said that he wants the remake to "apply to the current era" and "the current generation of players." He added the caveat that he doesn't "want to change it so much that it's unrecognizable" but it has to be offering something "fresh and new." To accommodate modern consoles and gamers, changes will naturally have to be made to the game both in terms of gameplay, mechanics and perhaps even to some elements of the story. For starters, early trailers show a game more akin to Final Fantasy XV mechanically, with fixed viewpoints and static backdrops swapped out for full-3D terrain, and a turn-based battle system removed in favour of a real-time action-orientated one. A significant way the remake is going to differ from the original game is that its story will be told episodically. This is a detail that was confirmed back in December 2015. 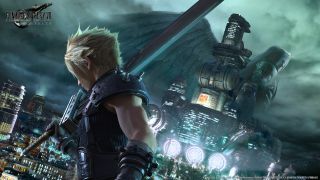 “We've seen everyone's comments and reactions to the news that Final Fantasy 7 remake will be a multi-part series and many have speculated correctly as to the reason why we have made this decision,” he said, “If we were to try to fit everything from the original into one remake instalment, we would have to cut various parts and create a condensed version of Final Fantasy 7. We knew none of you would have wanted that. Each episode will apparently be its “own unique experience” but as yet we don’t know how many episodes there will be or how they’ll be structured in relation to the original story. As mentioned above, a major element that’s changing from the original game is a move away from turn-based battles. In an interview with Famitsu, Nomura said that battles in the remake will be “action-based” rather than command-based. Nomura didn’t go into much more detail with regards to the game’s combat system but it’s widely expected that we’re going to see a formula more similar to Kingdom Hearts and FFXV. This would mean a more active and seamless style of battling involving party members whom the player will be able to switch between. Though the loss of turn-based combat will be mourned, a move towards a system like Kingdom Hearts will be more accessible to new players. PS5 development kits are now said to be out in the wild, with Sony's first-party development teams working almost solely on titles for the as-yet-unannounced next-gen system. With the ambition on display here, could Square Enix be planning to shift Final Fantasy 7's remake to the next machine? For Sony, it'd be a system seller right out of the gates for the new console generation, and for the developers you'd imagine it'd offer more processing grunt and a little longer in terms of the development window. This is speculation at this point, but as the sun sets on the PS4, and titles like Final Fantasy 7's remake being no closer to even having a release date, it starts to seem like the looming next generation machines may be now what they're being aimed at.